This June 11, 2018, file photo shows the historic Michigan Central Station in Detroit. Ford Motor Co. said Tuesday, Aug. 14, 2018, it plans to spend roughly $740 million renovating Detroit's long-vacant train depot and redeveloping other area properties for research and development of self-driving vehicles. 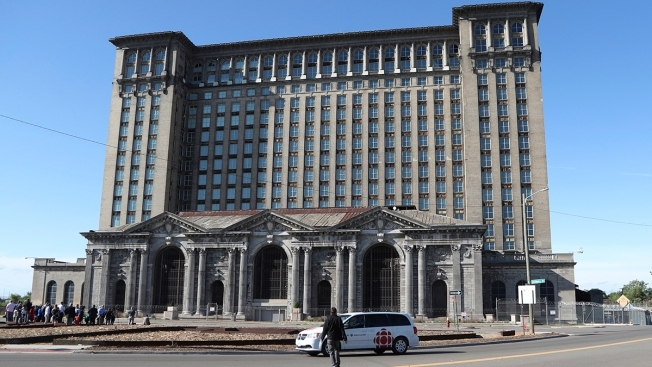 Ford Motor Co. plans to spend roughly $740 million renovating Detroit's long vacant train depot and redeveloping other area properties for research and development of self-driving vehicles. The Dearborn-based company in June used the Michigan Central depot as a backdrop while publicly laying out plans for the 105-year-old train station and surrounding Corktown neighborhood, but the anticipated cost wasn't detailed. The automaker's Ford Land development arm announced Tuesday it expects to seek $250 million in tax incentives to help offset the cost. Ford's plans call for the depot to be redeveloped over the next several years. The last passenger train left the station in 1988. A businessman purchased the building in the mid-1990s, but it remained empty and became blighted, exemplifying Detroit's long decline from manufacturing powerhouse to bankruptcy.